If you’re wondering when you need to get your floors resurfaced, great! This is a question that comes up often. Rather than actually refinishing your wood flooring (sanding the flooring down and applying a finish), our resurfacing process removes minimal scratches and dings. If you have major warping, you’ll want to look into refinishing. 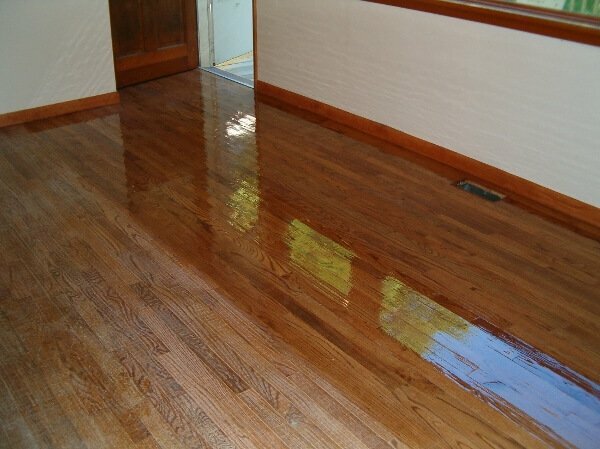 After fixing the minor scratches, we apply a finish that will help your floor shine once again. Resurfacing is a great option for many people because, due to the fact that we don’t buff the floor, it means less time and cost to you! Featuring industry professionals with a work ethic that stands out among the rest, we will return the beautiful shine your wood flooring once had! The Fabulous Floors process has many benefits to your home and your floors, so call today to speak with a representative and learn more about our hardwood resurfacing service! 1. Our process is virtually dust-free – This means that you don’t have to worry about the quality of your home’s air and that you don’t have any cleanup when we leave. 2. Our methods save time – Since this isn’t a full refinishing service, our resurfacing treatments can usually be completed in less than a day. 3. Resurfaced floors add value – Our resurfacing treatment is a low price alternative to replacing floors before you sell your home.